As the Electric Objects Kickstarter campaign draws to a close — and on the heels of its newly launched artist in residence program — the folks behind the EO1 electronic picture frame have announced the company’s latest venture: a Net Artist in Residence program in conjunction with the New York Public Library. This creative project will explore the integration of the library’s historical collection of digital maps with Electric Objects EO1, a self-contained computer in the form of a picture frame that mounts on your wall or tabletop to display online art. This move comes as the library system continues to digitize its materials and make data available to the public. For this initiative, Electric Objects is asking applicants to use materials from the library’s Lionel Pincus and Princess Firyal Map Divisions, which contain hundreds of thousands of historical maps, atlases and other geographic documents, as well as 19th century city data such as old New York building footprints, addresses, residential and business information. The library has released a set of 20,000 high resolution maps from its collection under a Creative Commons Universal Public Domain Dedication (CC0). These items cover many types of maps and historical regions: imaginary maps, maps of extinct empires, insurance maps and very old maps. Many of the maps have been georectified, so you can overlay them in any mapping utility such as OpenStreetMap, Google Maps or Google Earth and even overlay other geo-based information such as Foursquare check-ins. You can also combine them with current USGS maps containing other data, such as elevation. Electric Objects will select one artist for this residency, for now. That person will receive a $500 stipend, an EO1 developer kit (worth $400), dedicated work space at the library and access to curators, librarians and library technologists. Work produced will not be exclusive to EO1; rather Electric Objects is asking artists to consider it as part of the creative process and as a primary context for presentation. All creations will run on an EO1 device and will be available through the Electric Objects online gallery and via the New York Public Library’s site. Works will have a Creative Commons license, which will not preclude other sales or distribution of the work at the artist’s discretion. “The purpose of this residency is to encourage artists and developers to create work with EO1 in mind, by making use of the rich digital map collections of the New York Public Library,” Salditch said. Librarians will be on hand to help the artist navigate through the massive dataset to select the right data for their intended project. 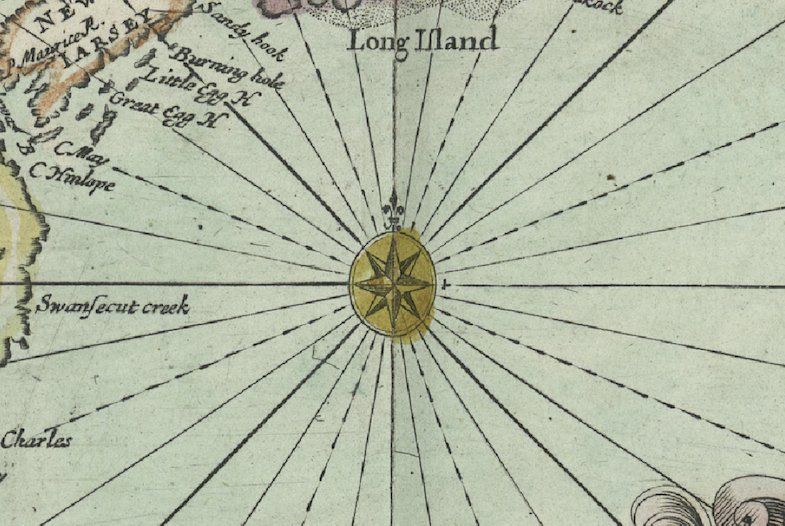 Anyone working in New York can benefit from one-on-one access to the library’s geospatial librarian and NYPL Labs developers who have special knowledge of these datasets — not to mention the room that houses the map collection. If the artist is not in New York, video chat is the suggested alternative. Artists interested in this program can apply via the Electric Objects website by midnight August 20 (EST). Projects should be completed within a month. A mailing list is also available for more information about EO1 programs. Completed works will be hosted online by NYPL and exhibited on-site at the Main Library on 42nd Street on screens provided by — who else? — Electric Objects.